﻿ Mercure Danang French Village Bana Hills, Da Nang | FROM $59 - SAVE ON AGODA! 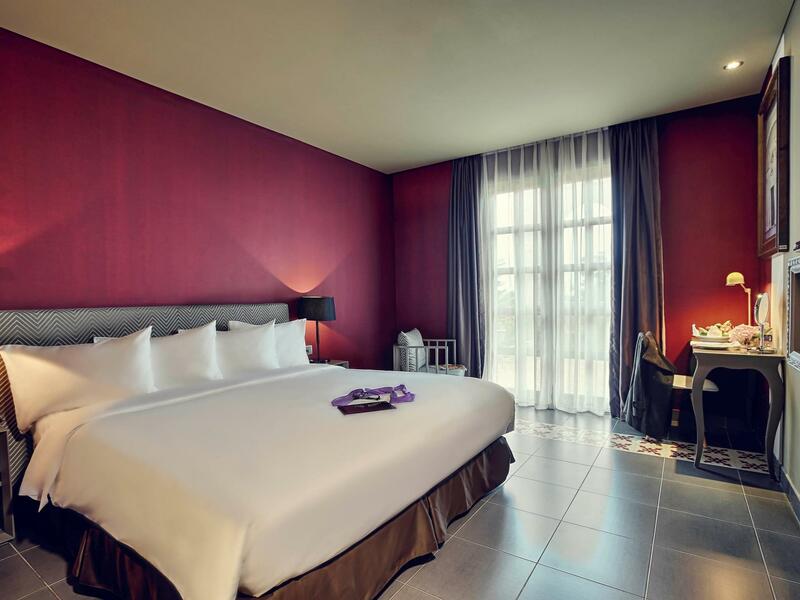 "Small rooms but staying one night is a good idea to enjoy th..."
Have a question for Mercure Danang French Village Bana Hills? "the hotel staffs were very lovely, helpful and handy." "Best Location , beautiful and very nice weather." "The resort is very nice and in general, a nice place to escape to for a couple of days." "Perfect place for kids and adult to have fun." Situated in Hoa Ninh, Mercure Danang French Village Bana Hills is the perfect place to experience Da Nang and its surroundings. The excitement of the city center is only 30km away. With its convenient location, the hotel offers easy access to the city's must-see destinations. Mercure Danang French Village Bana Hills offers impeccable service and all the essential amenities to invigorate travelers. To name a few of the hotel's facilities, there are 24-hour room service, free Wi-Fi in all rooms, 24-hour security, chapel, convenience store. 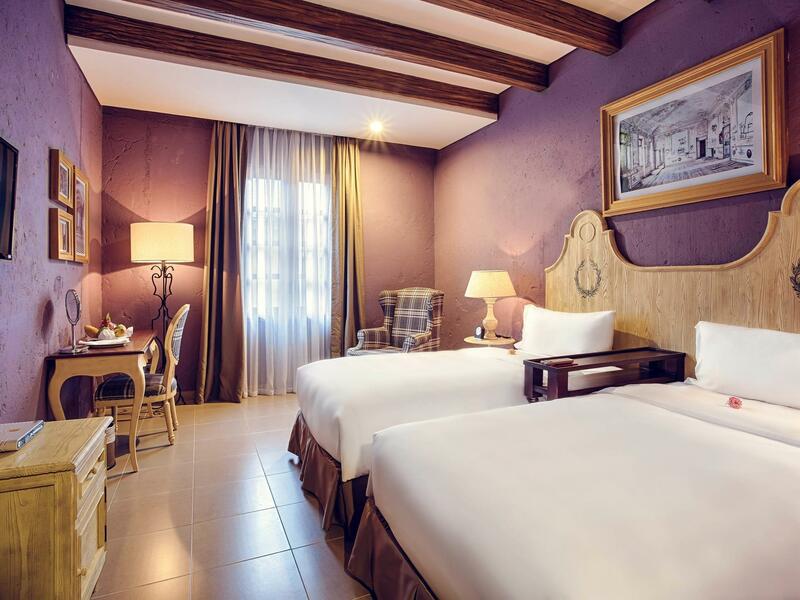 Mercure Danang French Village Bana Hills is home to 494 bedrooms. All are tastefully furnished and many even provide such comforts as television LCD/plasma screen, cleaning products, clothes rack, complimentary instant coffee, complimentary tea. Throughout the day you can enjoy the relaxing atmosphere of the hiking trails, hot tub, fitness center, sauna, golf course (within 3 km). Whatever your purpose of visit, Mercure Danang French Village Bana Hills is an excellent choice for your stay in Da Nang. To reach the property, a compulsory cable car transfer needs to be arranged. Cable cars are available at an additional charge from 8:00 AM to 8:00 PM. In order to reserve the transfer, please contact the property prior to arrival. Please note that this does not include in the room rate. Spur of the moment booking and we had a great time. Room was excellent for a family of 4 (2 bunks). Very clean and comfy. Swimming pool was awesome for the kids. after 7pm, there’s no more activities and by 10pm everywhere will be closed. As late nighters, we were not allowed to even hangout at the hotel lobby and had to take a walk outside in cold. Overall great experience but prefer if they cater places for late nighters. Great exciting and panoramic cable car ride up to the top- an experience in itself. Hotel was nice and clean. I think they would benefit from more English speaking staff who can properly explain the entire resort layout and amenities. We are buoyed the fantasy park laying games and going on rides. Unfortunately due to weather the roller coaster stopped operating. Golden bridge was worth seeing even amidst cloud. A very different lace to experience whilst in Vietnam. Good for the person whose want a relax and chilling weather. The hotel was so nice to upgrade the room and prepare a birthday cake for us due to my friend's birthday. The breakfast was nice and many choices, we also enjoyed the indoor swimming pool when night time. The only cons is the periods i went was raining, too much fog and can't having a nice pictures and visit all the places. Found many small cockroaches in my room, the dust are too much like not cleaning well (on the shelf, table, bed,each corner in room), electricity plug in room not working, remote control of tv not working, garbage bin in the restroom was very old and not good looking. Understaff, welcome tea station never fill and never clean the used glass. Dirty toilet. Staffs always in bad attitudes at dining room, not smile at all. Check out is 10:30 not 12. Slow check out process. Very comfortable room. Some of the problems we had was: 1) Standard rooms and family rooms are at different locations. 2) Food options are limited at night. Suggest to book the buffet in advance as it can be fully booked. 3) Staff English level need to be improved. 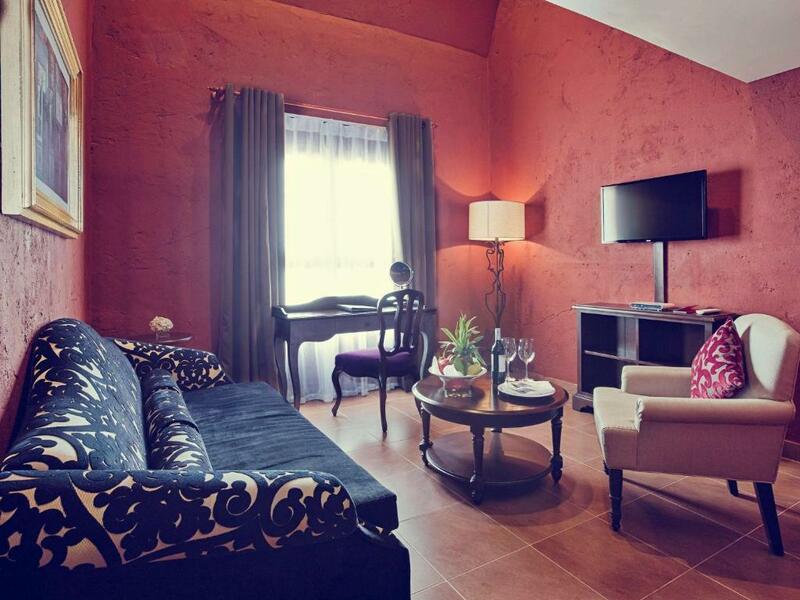 Other than these, overall it is a good choice if you want to spend a night or two at Bana Hill. Love the surreal feeling of staying in an European township in the mountains of Vietnam! So cool to walk the streets when the fog settles in and the crowds is all gone! Best place to dine is the La Tavern for live flute musical performance! Please try to be mindful of the weather forecast/advisories when going to this place. One will enjoy it more when it is not raining. I would like to highly commend our bell boy. He was very helpful and very friendly. I am sad that I was not able to get his name but he assisted rooms 4105, 4211, 4212, 4213, 4214 last Nov 6. Please commend him for his welcoming behavior making sure we are assisted during check in and also during our check out last Nov 7. Thank you!! Nice hotel in French style. Room is good but not clean enough. It's quite boring at night time when all actives in Bana hill shut down. One pros is you can get to the golden bridge and other places for photo taking early in the morning (especially for landscape photographer) when there is not many tourist. Food is just alright up there. However, we really enjoyed 2 nights there. This was our second trip to Bana Hills but our first time staying at the hotel. A lot of poor reviews sort of put us off,but we really wanted to stay so we booked two deluxe rooms for one night. Everything went fine getting up to the hotel. You have to check in at a certain kiosk when staying and then you get a special car so you can go up the mountain with your luggage. Checking in was fine and then they showed us our room and we have a BIG problem. No no....we booked a deluxe room with a view of either the mountain or the Church.....NOT a closet with a window looking out at.....the wall of a building. Tried to tell us this was a deluxe room....that did not work. So back down to reception at which time they told us we had to wait our deluxe rooms were not ready. Finally got to our rooms and they were exactly what we reserved. Why they tried to pawn us off on this closet size room is beyond me but they lost points on this review because of it. We really enjoyed our stay after that. This is our 2nd time at Bana Hills, it's a unique experience to be up in the clouds and the hotel is just great. Both times we have stayed we've been upgraded to beautiful rooms and had a wonderful relaxing time. The hotel isn't cheap by Vietnamese standards, but boy is it worth it! And Bana Hills is such a fun place to stay and explore. It's a must stay if you want to go to Banahills because you will get to experience the park much better. On the daytime is much crowded but at night is so beautiful. I read reviews that the buffet dinner was not so good so I went to the beer house restaurant in the park which was much better and cheaper! Also, you must wake up early to go to the golden bridge otherwise it will be pack with peeps.